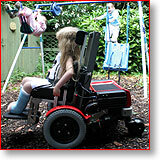 All the powerchairs we make have come with a five year warranty since 2008 . Like most high-quality powerchairs, Dragons and SnapDragons are intended for five years of everyday use. However, we don't expect you to go it alone after you've taken your powerchair home. "Dragon2Last" is free as part of the package when you buy any Dragon or SnapDragon. "Dragon4Life" will be included free when the time comes if you replace your old Dragon or SnapDragon with a new one. You can also opt into "LoveMyDragon" to cover ongoing costs for five years. If you are not able to transport it yourself, "CarryMyDragon" can be arranged to bring it to Cambridge for servicing. You can add "Dragon2Grow" if you expect to change to a Dragon from a SnapDragon during the next five years.